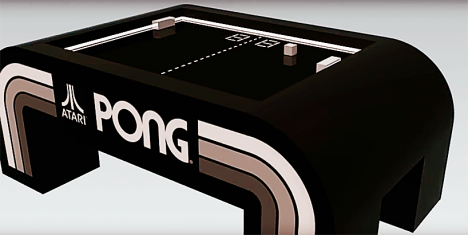 Bringing the 1972 Pong classic Atari game back to life in a beautiful new form, the Table Pong Project will suddenly look a lot more like beer pong (or air hockey or table tennis perhaps). 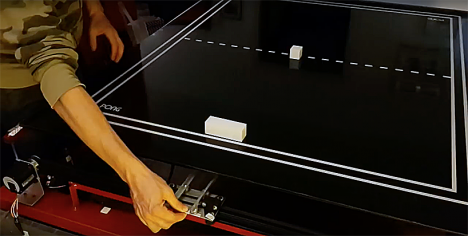 The real key (fast forward a few minutes to see it) is the reflective trickery that makes the entire thing look physical and three-dimensional, from the paddles to the bouncing box/ball. The creators behind the project had little technical skill when they set out and learned what they needed to from YouTube channels, Google searches and by asking questions on web forums. 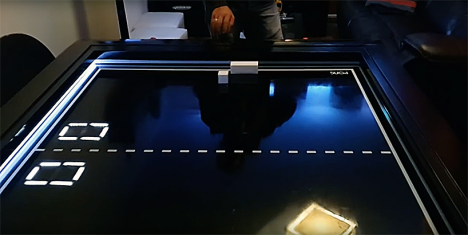 Against that background, the results are nothing short of amazing, from the game physics to the graphic renderings on the smooth surface of the table. 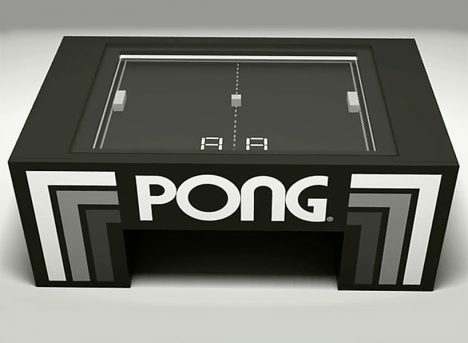 See more in Antique Gadgets or under Vintage & Retro. October, 2016.